Any personal information provided or to be gathered by this website is controlled by Consumer Savings Network. 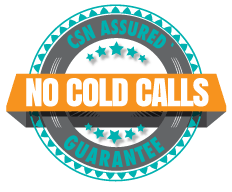 We may also use the information we collect to contact you in direct response to specific products or services you have requested or may be interested in, for example, specific claims products or new services that may be beneficial. Where appropriate, we may send you automated emails, but only when it is specifically required to provide you with a service you have requested or may be interested in. An example of this may be to email important technical information or licensing information when you download a file from our support section. How does the Consumer Savings Network protect customer information? As required by the UK Data Protection Legislation, we follow strict security procedures in the storage and disclosure of information, which you have given to us, to prevent unauthorised access. CSN is registered with the Information Commissioners Office Our security procedure mean that we occasionally request proof of identity before we are able to disclose sensitive information to you. Will Consumer Savings Network disclose the information it collects to third parties? Consumer Savings Network does not sell, trade or rent your personal information to others, however, we may forward your information to one of our resellers if you have asked us to do so and then only in connection with the products and services you have requested. In future we may choose to change this policy and share your information with trusted third parties. We will ask you to opt-in if we use your information in this way.